We are looking forward to sharing so many good books and stories throughout the 2018-19 school year, and beyond! 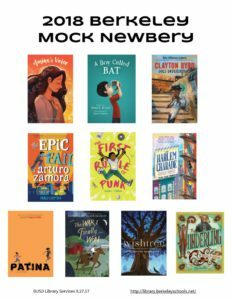 Mock Newbery, here we come! See our write up in the A+ News! Our reading is on fire! And for yet more specifics, take a gander at our Mock Newbery page on our Reading Suggestions button. 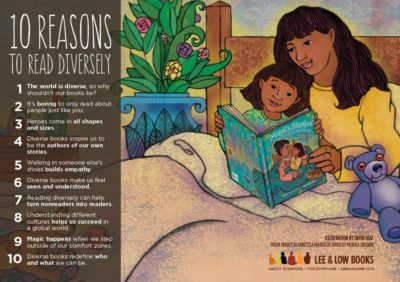 This list of 10 Reasons to Read Diversely starts with “The world is diverse, so why shouldn’t our books be?” and continues on. We celebrate this spirit every day in our school libraries, with our students and staff, and with our families. 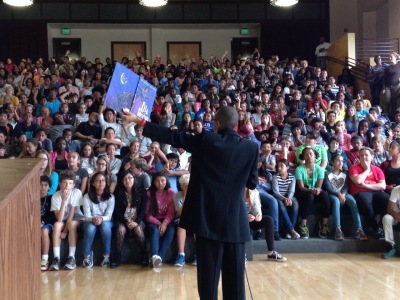 Here’s to a great school year, and plenty of reading! Every 4th grader had an author visit with Mike Graf last week, who shared tips about writing realistic fiction while illustrating his points with virtual visits to many of our National Parks. 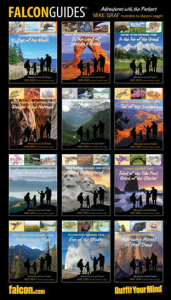 Graf’s Adventures with the Parkers series is a great introduction to the “Every Kid in a Park” initiative of the Obama administration and the Department of the Interior, which is granting every 4th grade student and their family a FREE PASS to all National Parks for the entire year! For more information about this amazing project, see the Every Kid in a Park website. The Falcon Guides featured on the left show the covers of Mike Graf’s Adventures with the Parkers series. 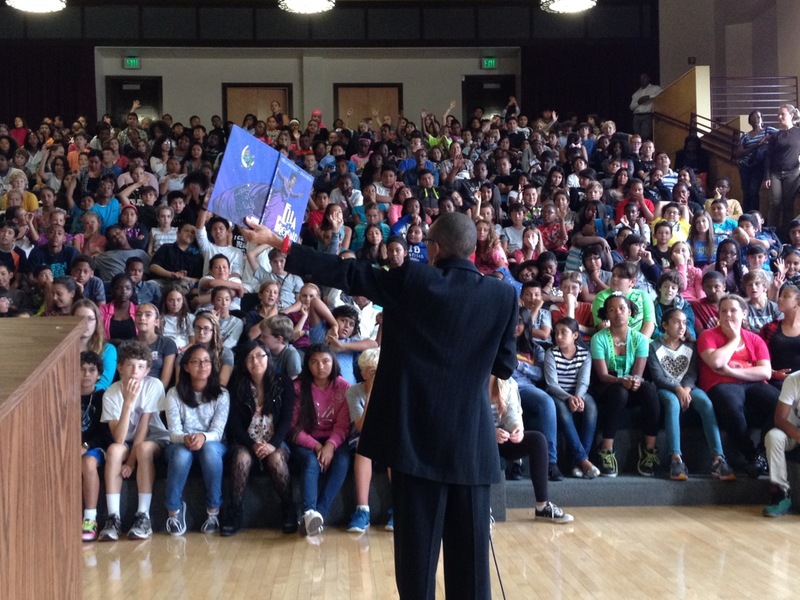 He had the manuscript of the 13th title in his backpack as he was giving his author talk! 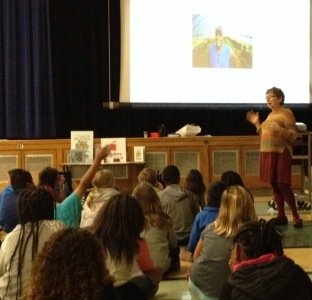 Many thanks to the Berkeley Public Schools Fund for supporting this author visit for all our 4th grade students, and what a great launch of Every Kid in a Park. Did you know that you can look up your school’s library books from any computer, at home or at school? Just click on the Library Catalog button on your school library webpage. You can look up a book by its title, author, subject or general keyword. Make note of its Call Number if you want to be able to head directly to the shelves to find it yourself, or ask your library staff for help – that’s what we’re here for! We have a small collection of ebooks that can be read online, too. Once you’re in the Catalog, click on Follett Shelf in the left menu bar. When you’re reading our ebooks at school you don’t need a password, but from home you will. For the “featured ebooks” the username is truebusd, password student; for the “interactive ebooks” the username is your school’s name, password shelf. Sorry for the double duty in the password department! We’re aiming to streamline it. We are excited to have audiobooks at our fingertips for all elementary students this year! Listening to stories is a great way to build reading skills, whether those stories are read by siblings, parents, grandparents, teachers, librarians… or professional readers, as is the case with Tales2Go audiobooks. 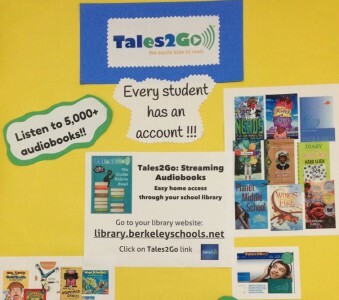 Tales2Go is a streaming audiobook service – kind of like a Netflix of the audiobook world – and BUSD now has this service for every elementary student. 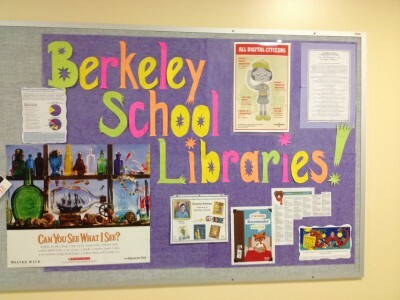 For more information about how to access your child’s account from home, go to your school library website at library.berkeleyschools.net and click on the Tales2Go button at the bottom of the screen. As always, if you have any questions, please contact your school library staff or Becca Todd, District Library Coordinator. Happy listening! 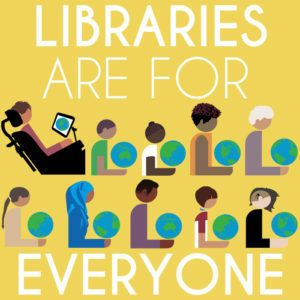 All sorts of new books, resources, programs, authors and more are in store for us in our school libraries this year… and of course all the already-familiar ones, too! It’s a win-win situation! Welcome to the 2015-16 school year!! Of course you’ve seen the new elementary library website (otherwise you wouldn’t have arrived at this blog!) but if you’ve not yet explored the buttons, now is a great time to do so. In Library Catalog you have access to the vast book collection to start compiling your “to read” list, and you also can read a number of ebooks online. Check out the How To? button for helpful hints on how to do so. Reading Suggestions leads you to the delightful Storyline Online presented by the Screen Actors Guild, and Class Projects provides grade level and classroom specific recommended links. Any additional suggestions or questions you have can easily be submitted by utilizing the “Contact the Library” link in the upper right corner of the main webpage. These are just some initial examples of what to explore. Enjoy! Such a swarm of author visits in September! 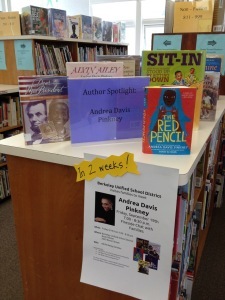 We were fortunate to have Andrea Davis Pinkney, Jacqueline Briggs Martin and Rita Williams-Garcia visit a number of schools, sharing their award-winning books and even more importantly, their heartfelt encouragement to continuously explore writing as a means by which to make sense of the world, and to share the stories that are in each and every one of us. 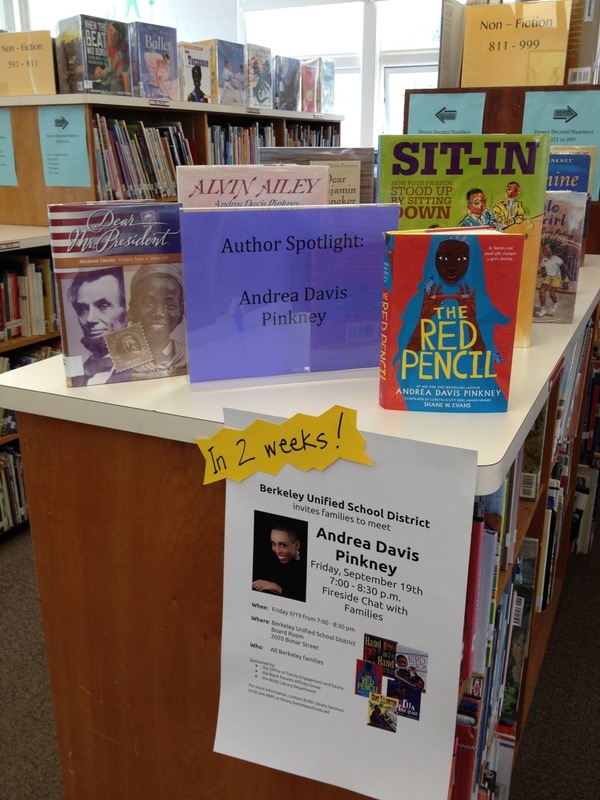 Andrea Davis Pinkney shared stories of how she writes and why she writes, illustrating her talks with examples of her numerous picture book biographies and longer works of historical fiction and current realities. 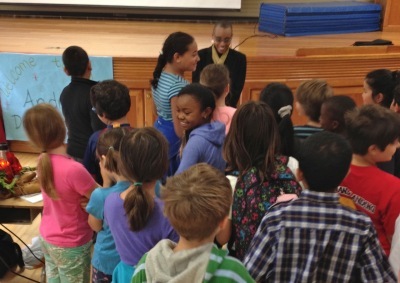 Some students at BAM found out it was soon to be her birthday and were delighted to be able to sing for her. 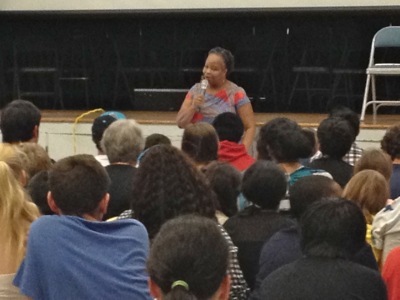 The 6th and 7th graders of Longfellow had their first assembly of the year with this author visit – talk about setting an energetic and engaging high bar! 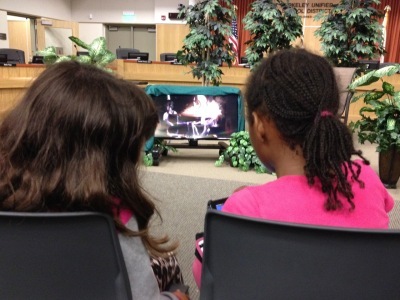 And in the evening, a first ever “Fireside Chat for Families” was co-sponsored with the Office of Family Engagement and Equity and the Black Parents Affinity Group, complete with a digital fireplace! Jacqueline Briggs Martin‘s recent book Alice Waters and the Trip to Delicious and last year’s Farmer Will Allen and the Growing Table were perfect compliments to our ongoing interest in gardens and good food. 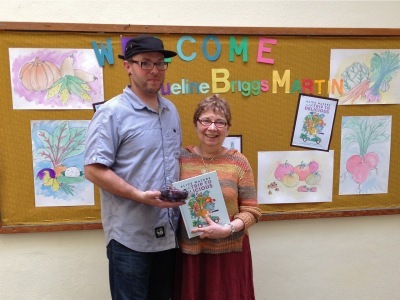 Ms. Martin presented two “big kid” assemblies and visited the kindergarten classrooms, and then was treated to a tour of the LeConte garden where Farmer Ben had just harvested some figs. 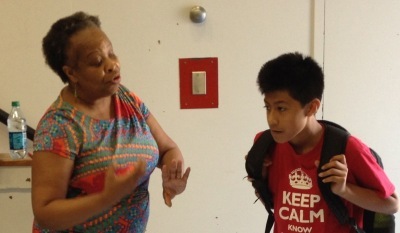 Rita Williams-Garcia shared her life experiences and additional research that fueled her writing of One Crazy Summer, which the Willard students were crazy pleased to find out about. Ms. Williams-Garcia stayed on long after the large group presentation to answer many questions from budding authors. Coming soon – snippets of our more “normal” day to day realities in our libraries! 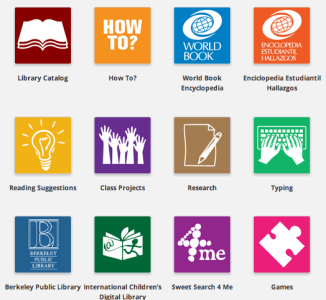 Welcome to our new library website! It’s going to be a great year of reading and sharing stories and ideas! Here’s one of our new ones – our library blog. Check back often to get ‘inside glimpses’ of our library adventures throughout the year. Wednesday, August 27 – First day of school!